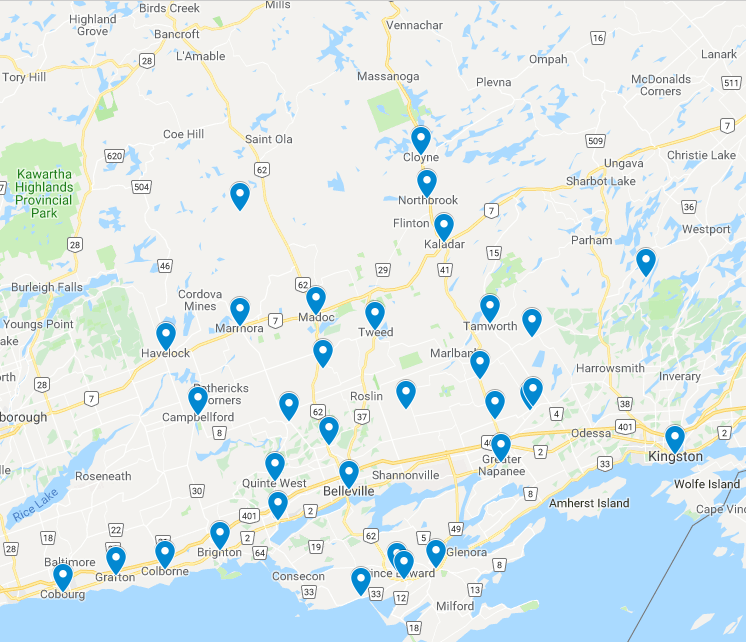 Our Service Areas - Quinte Appraisal Services LTD.
Quinte Appraisal Services LTD, covers a wide range of areas around the Hastings and Northumberland and Kingston areas. To make sure we can assist you with your appraisal needs. Please make sure that your area of residence matches our list below or is located on the map.